Authentic music and the integration of Bavarian festivals into the annual event calendar create a party mood and the right atmosphere. Asparagus weeks, Oktoberfest, strong beer season or carnival – there’s always something happening at the brewhouse. Why not take a look at our Bräuhaus events & promotions calendar! 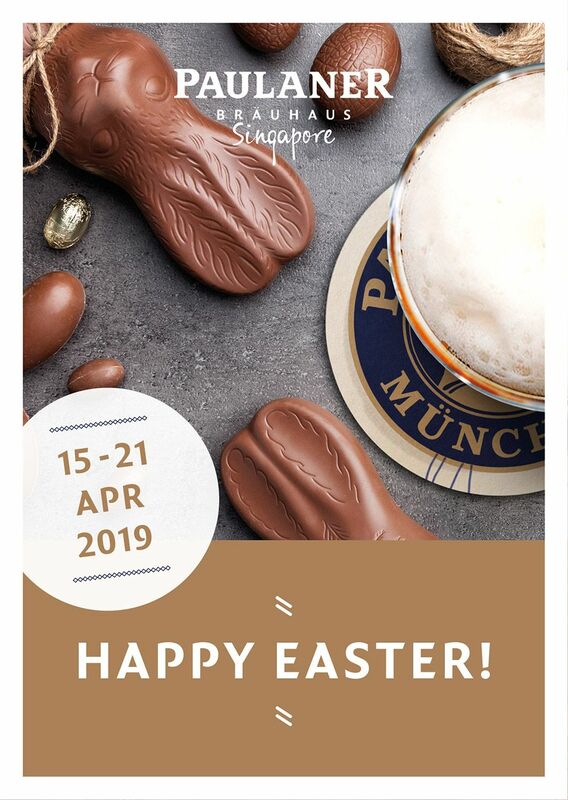 Don´t miss out on our popular Easter Sunday Brunch on April 21 which includes Easter goodies and activities for the little ones in our kids corner. 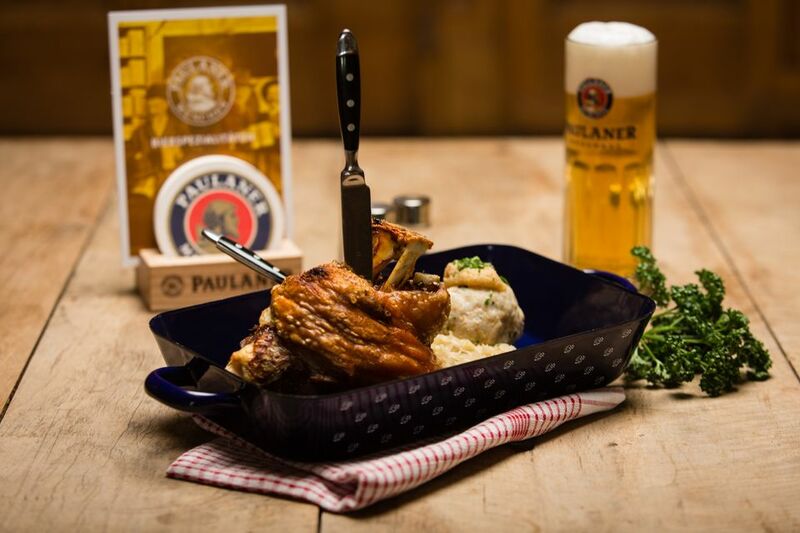 Come on down and start your weekend out right with a crispy pork knuckle and 1 Paulaner beer (0.5L) for only S$39.90! Enjoy an impressive spread of traditional German fare and international dishes - buffet style and plated! For the kids, on top of our regular play corner, we offer different activities every single weekend! View the Activity Schedule here. T&Cs: All prices are subject to service charge and prevailing government taxes. The 'Bubbles' and 'Bubbles Deluxe' packages include free flow wines, beers & soft drinks and are not applicable for further discounts. Choose from classic dishes at only S$16.90 each or vegetarian delights at only S$13.50, with free flow soft drinks! For an additional S$4.50, you’ll get a nice cuppa' freshly-brewed coffee/tea or a salad of your choice. 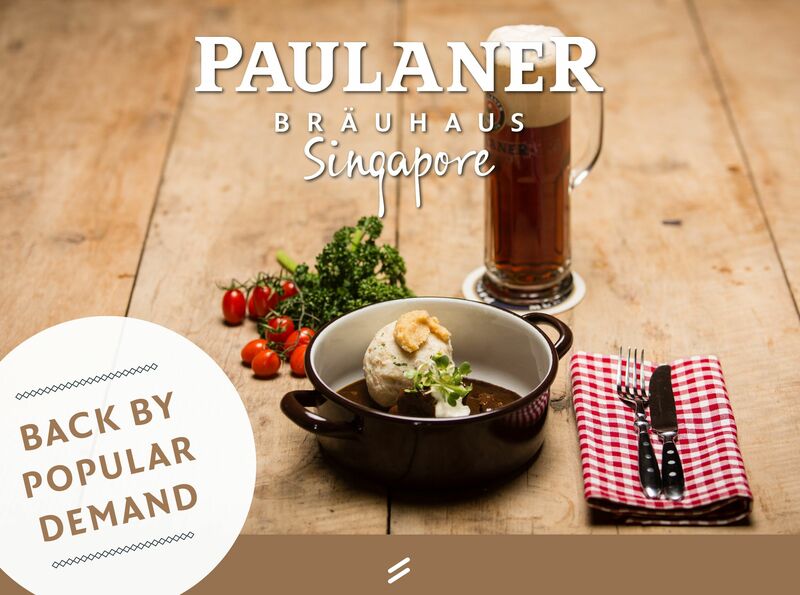 Complete your lunch with our freshly brewed Paulaner beer 1-for-1 at only S$13. With never a dull moment, lunch at the Bar & Garden has a change of menu bi-monthly. So it’s always a treat to experience new and exciting grub with your beer! 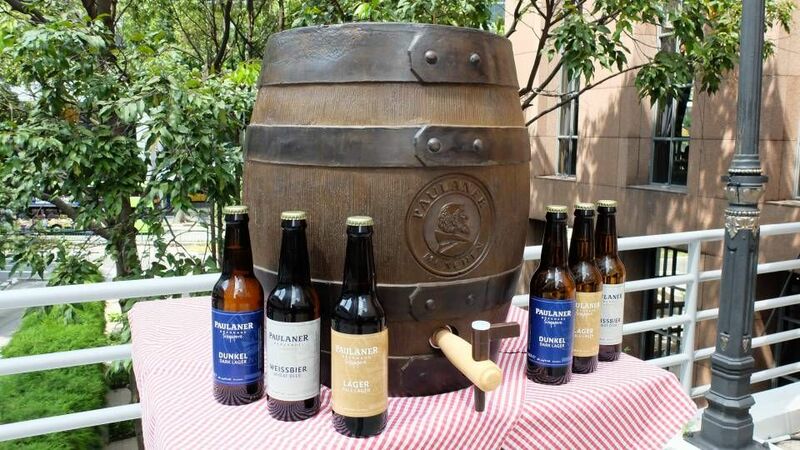 To always make things better for you, Paulaner constantly welcomes customer feedback. 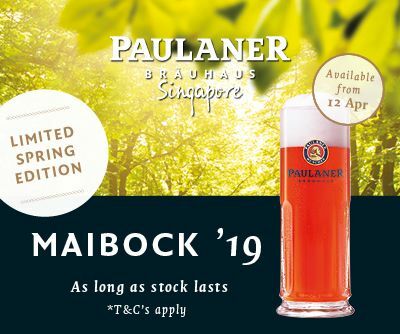 So participate in the Paulaner perfection and polish off the Bräuhaus pabulum! * No discount applicable. All prices are subject to service charge and prevailing government taxes. From corporate events, product launch, business luncheons, workshop sessions, over networking receptions, anniversary celebrations to private functions, we offer unique and versatile spaces, customised menus and freshly brewed beer specialties. Our experienced & passionate team strives to create extraordinary dining experiences for all our guests. Fancy our beers at home or for your next BBQ gathering?